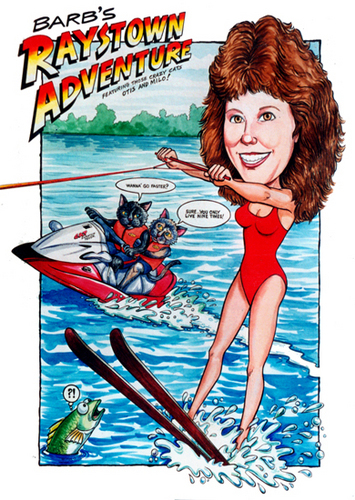 You send the photos...and I'll bring the caricature to life! 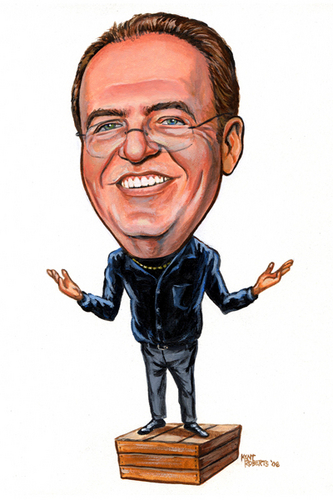 This is Jason Sholder, PhD...inventor of "The Clapper". 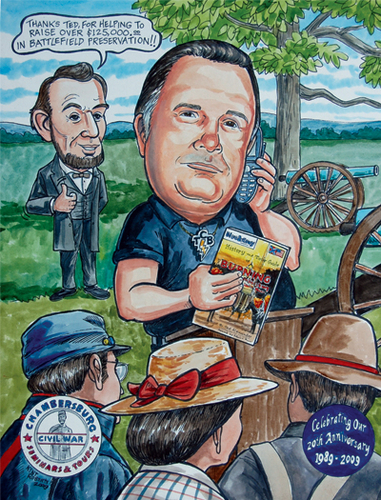 Caricatures are a great way to promote your business! 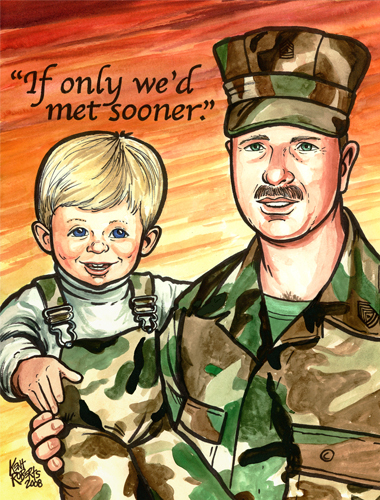 A deceased grandfather and the grandson he never got to meet...united in a special caricature. 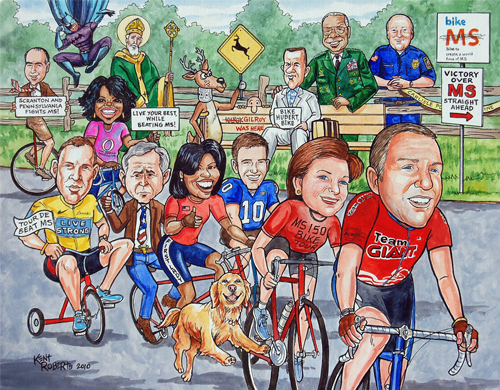 Attorney Gilroy leads the pack of riders raising funds to find a cure for MS.
A great way to say "thank you" to a retiring executive! 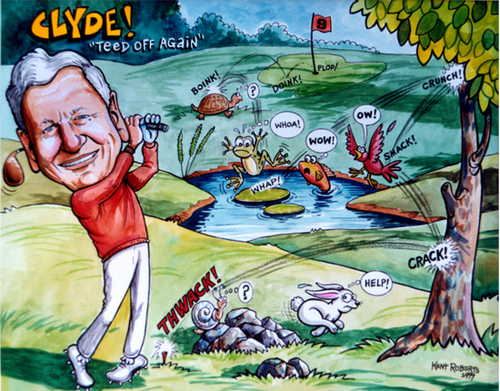 Any sport can be portrayed in a caricature! 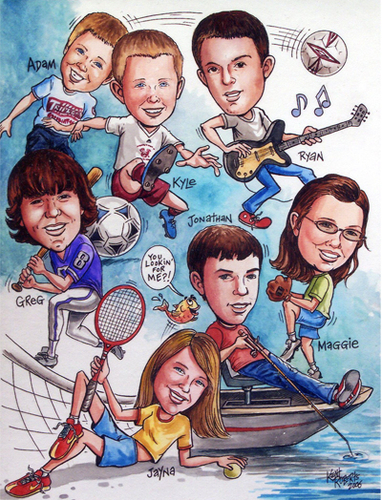 Seven kids together in one drawing...each participating in their favorite sport or hobby. 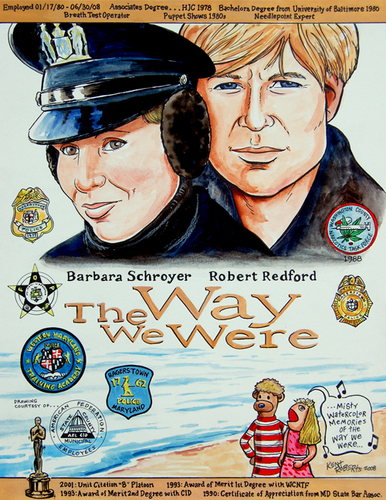 Help remember a great vacation! 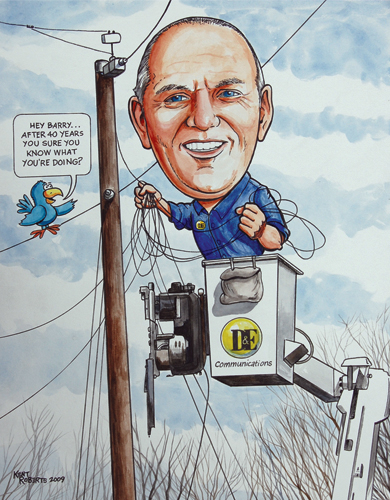 Surprise a valued client with a caricature. 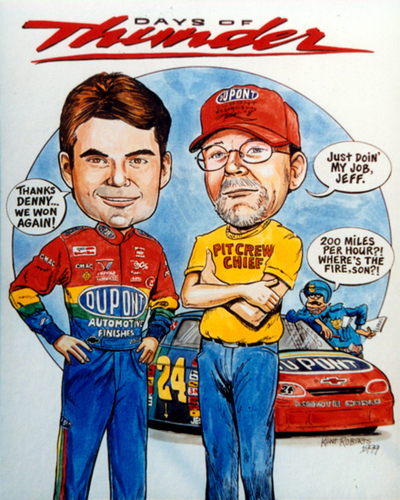 Celebrate their passion with a caricature! 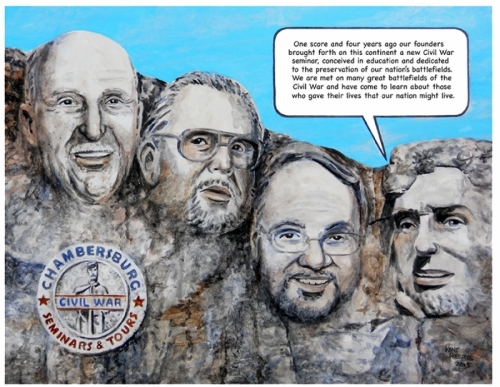 Your subject can be with their favorite celebrity! 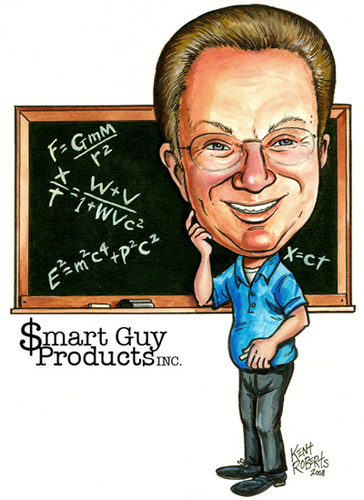 Promote your business with a caricature! 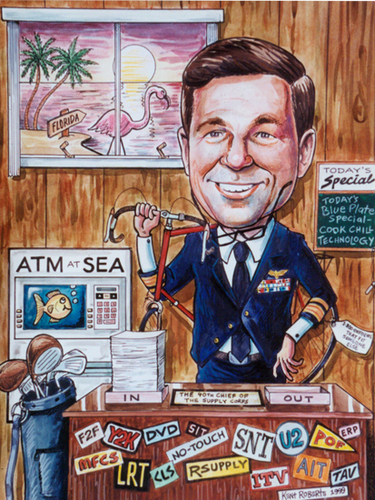 Military officers, physicians, business leaders...everyone loves a caricature! 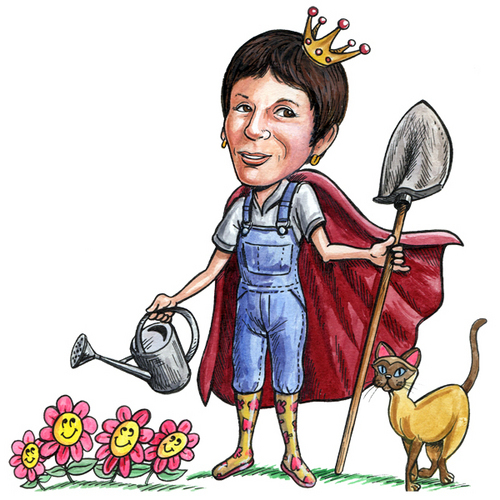 Help them remember that once in a lifetime trip! 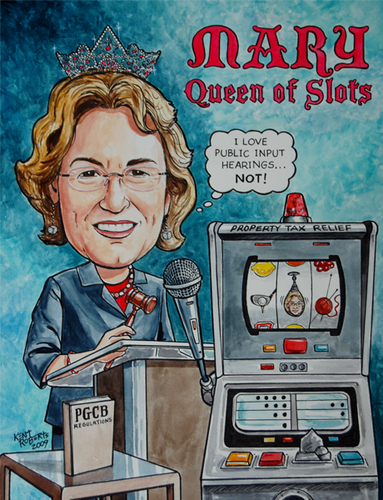 "The Queen of Spades" Caricatures are a great way to promote your business! 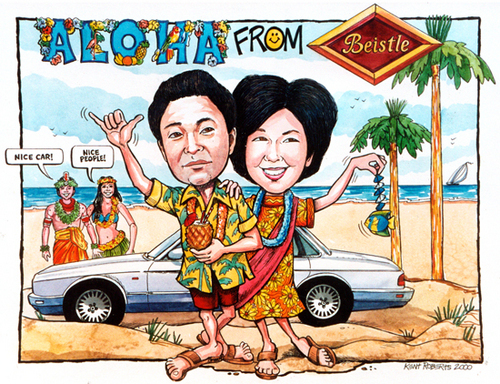 A caricature commission of Don Nori, founder of the internationally known publishing company Destiny Image. 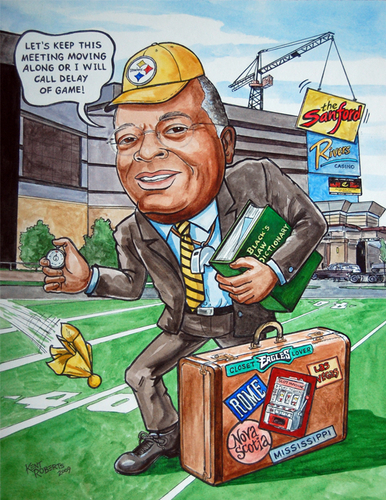 Honor your retiree by turning back the clock...in the fantasy role of a lifetime! 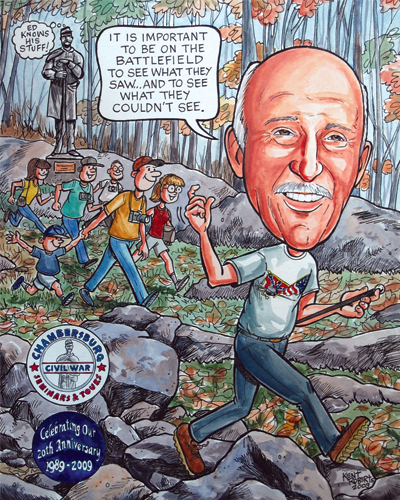 Honor your retiree for their many years of faithful service, with a touch of good natured humor! 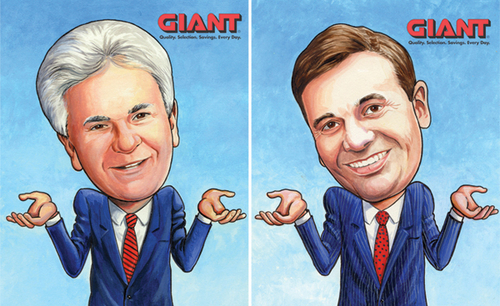 Honor your retiring...and new CEO with a caricature! 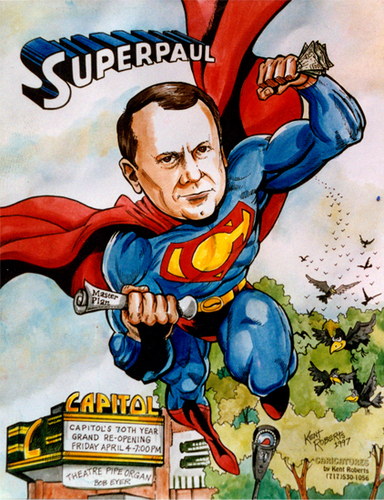 All those government programs ARE good for something! 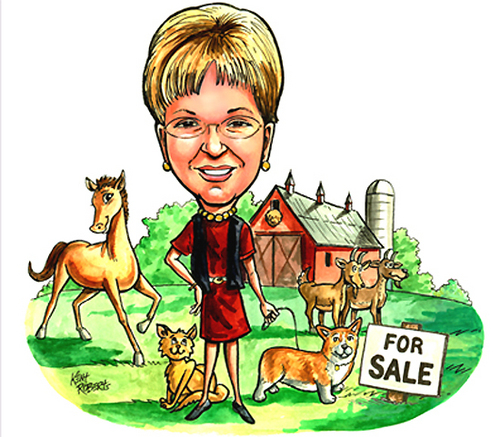 Honor your retiree with a caricature. 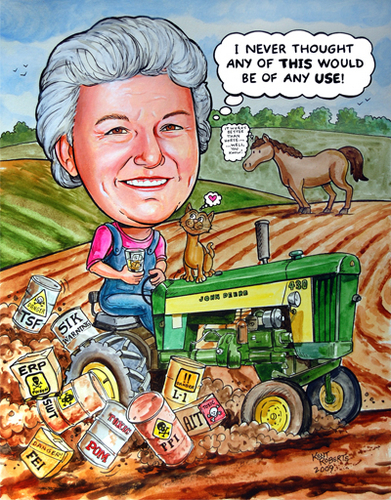 Promote your business with caricatures! 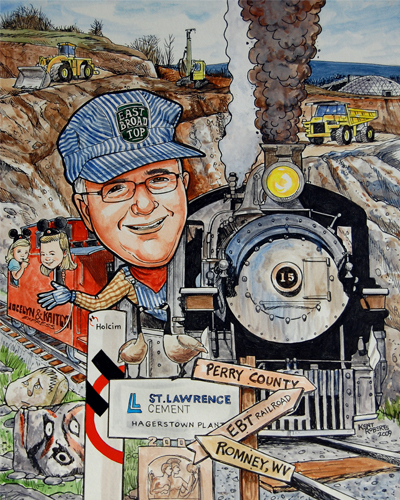 A retiring quarry supervisor who has a passion for trains. 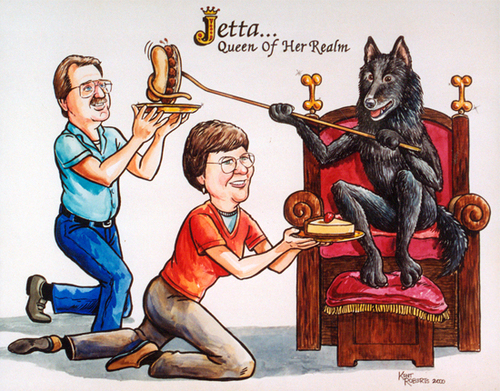 Does your subject love to workout? 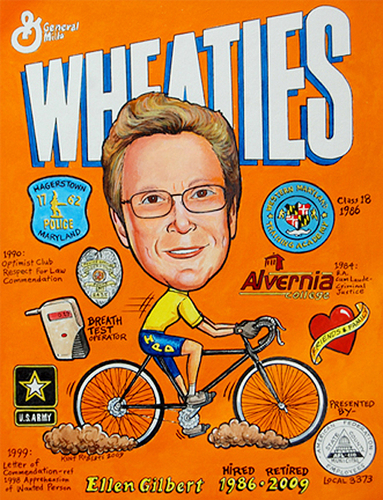 They deserve to be on a Wheaties box! 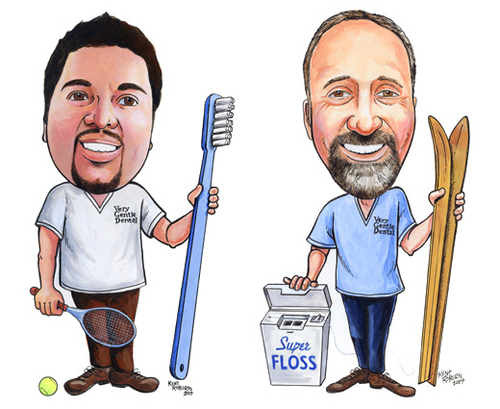 Their job...their hobbies...all can be included in a caricature! 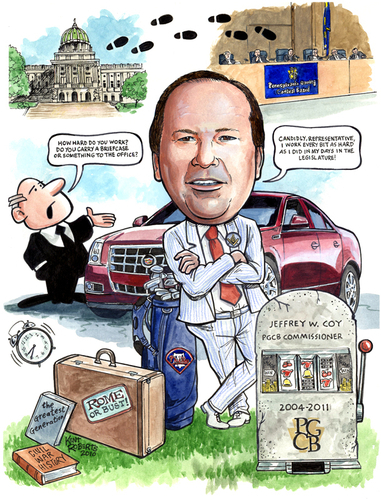 Caricatures...the ultimate in personal gifts! 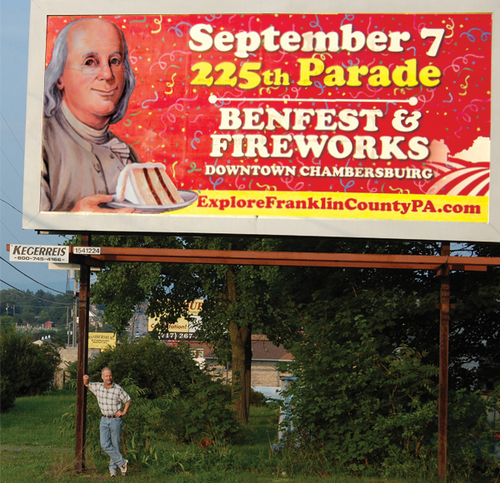 Standing under my really BIG caricature of Ben Franklin. 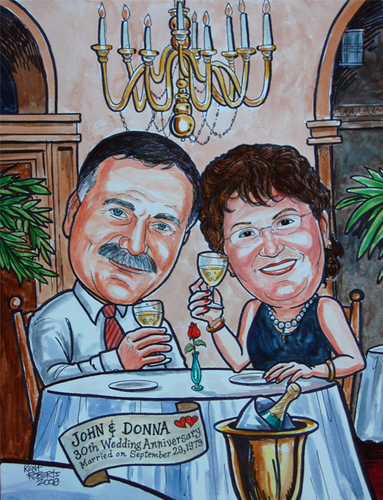 Help make a special day even MORE special...with a caricature! 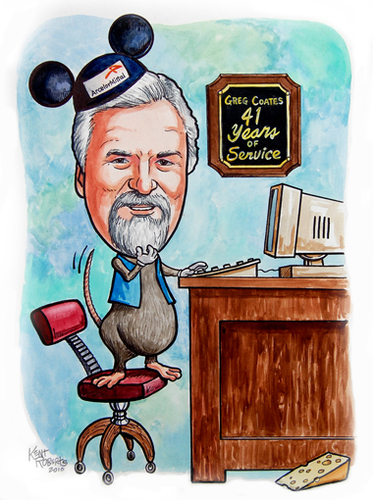 Honor their years of service with a caricature! 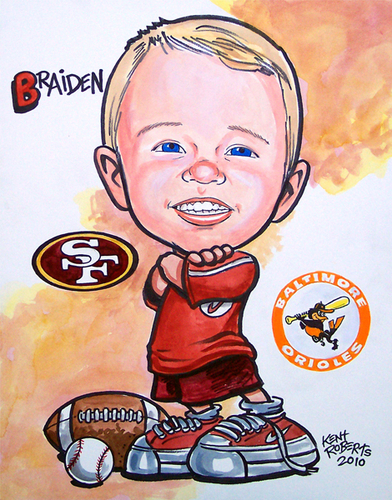 A caricature is a one-of-a-kind gift! 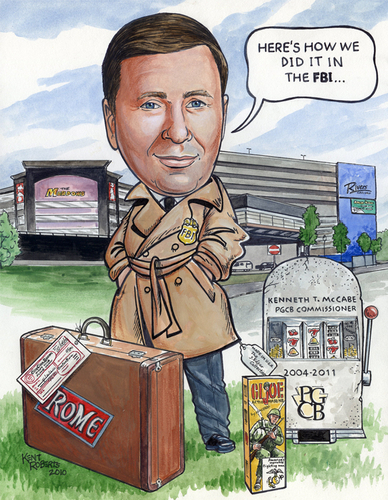 A former NFL ref and retiree from the Gaming Commission...are they really going to rename a casino after him? 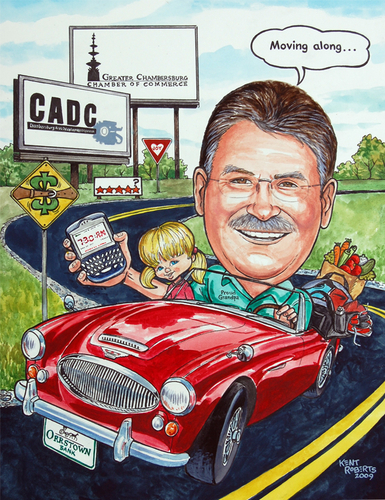 Steve...retiring from leadership of the Chambersburg Chamber of Commerce...in his bright red sports car and meaningful "signs" along the way. 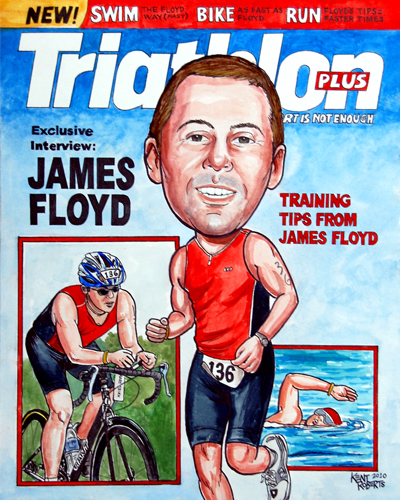 Your favorite athlete can be the "star" on the cover of their favorite magazine. 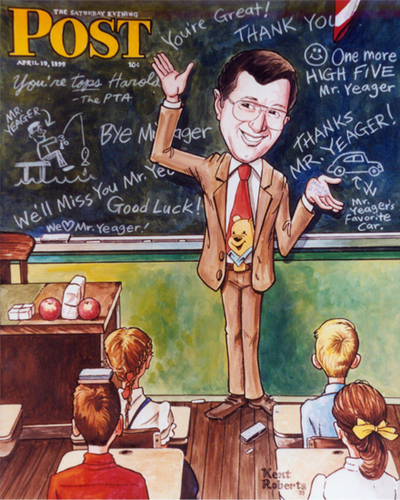 Caricature with a "Norman Rockwell" twist! 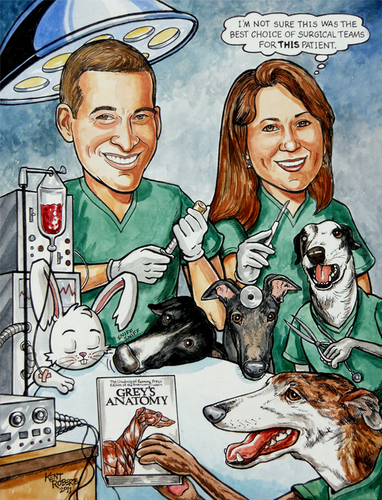 Include your pets in the caricature! 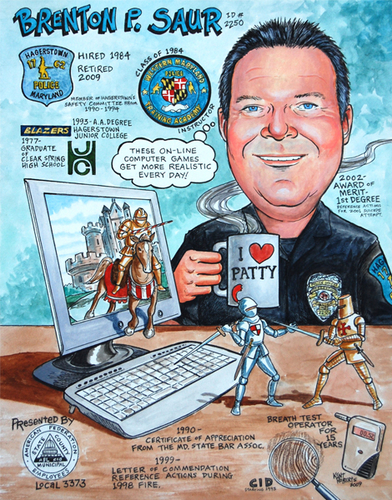 Greg "Mouse" Coates...the picture says it all. 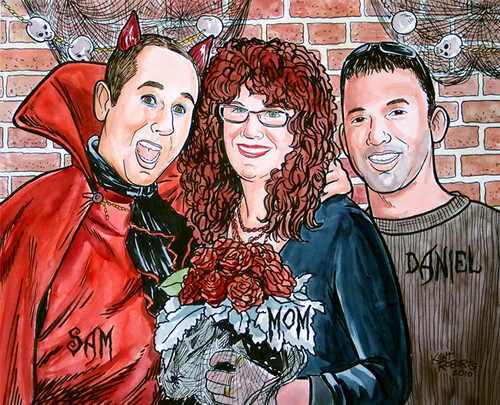 A caricature of a spooky good time at a Halloween wedding. 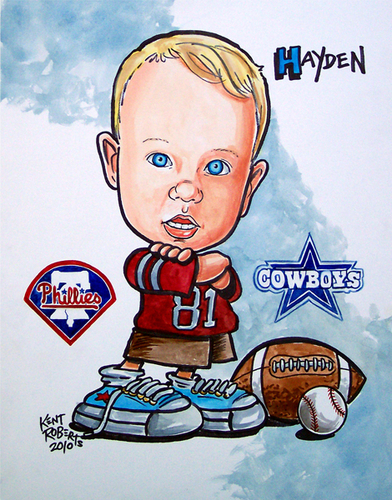 You're never too young to support your favorite teams! 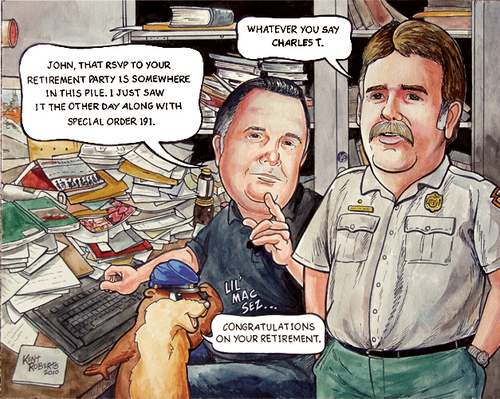 Retirees will appreciate a caricature that sums up their many experiences. 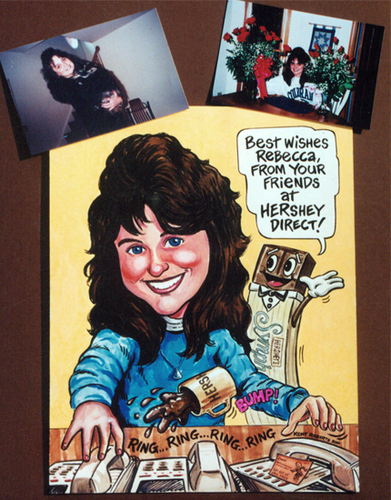 The RSVP is here somewhere...don't forget to honor your retiree with a one of the kind gift...a caricature! 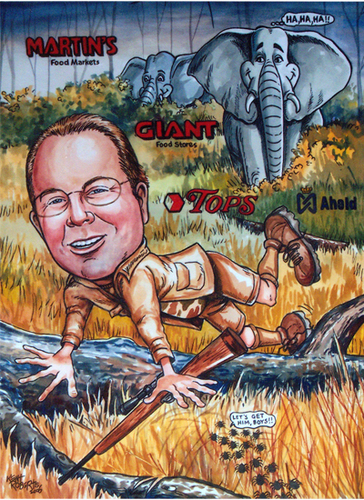 Alan "Lemur" Downs pictured on his little "hike in the woods". 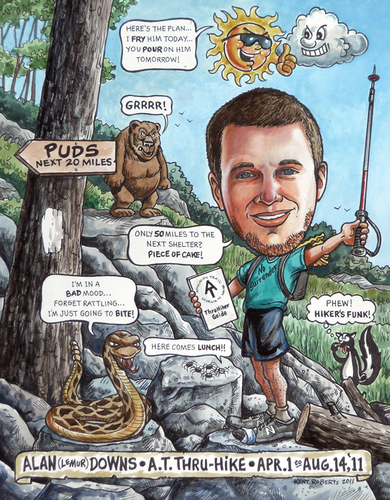 He hiked the full length of the Appalachian Trail in 4 1/2 months. What up Docs? Two married doctors have a questionable surgery team for THIS patient! 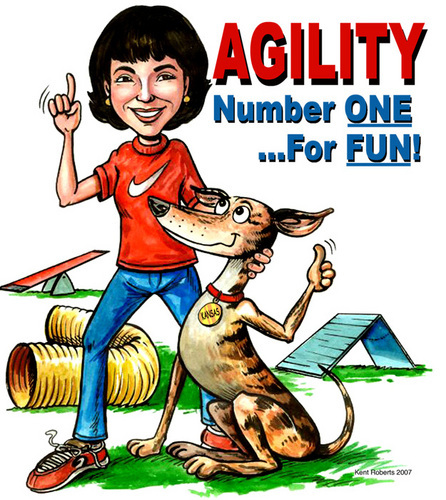 Pets and people together make great caricatures. 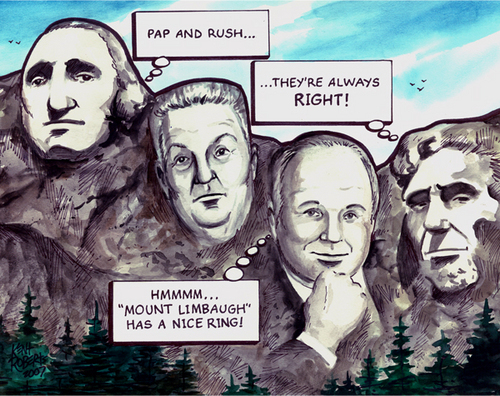 A new face (make that 3) for Mount Rushmore. 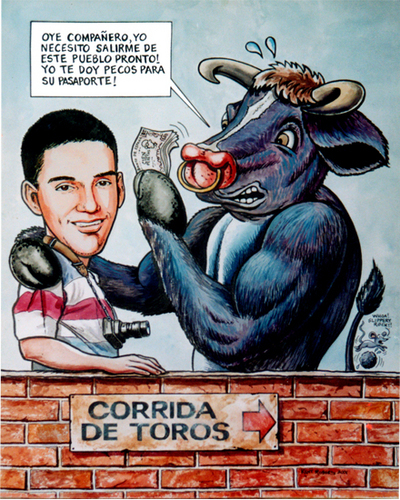 Imortalize your subject with a caricature. 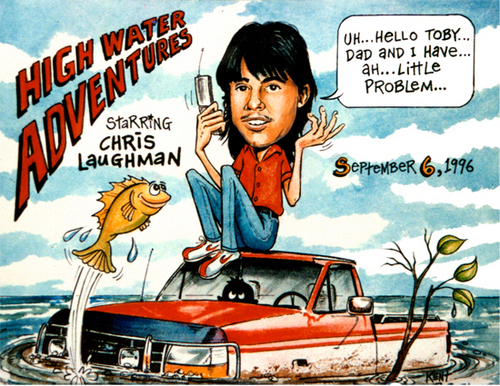 Chronicle all the adventures of your co-worker with a caricature.